While most children write letters to Santa asking for their favorite new toys under the tree, a local 5-year-old’s Christmas request was something truly unexpected. 5-year-old Isaac Vargas wrote a letter asking for a new heart for his baby sister, Ray Lynn. The 2-month-old baby girl was born with a rare heart condition and is now in the hospital, in need of a transplant. Isaac left his note for Santa at Christmas On The Square in Live Oak, and workers cleaning up afterwards who found the letter decided to organize a special visit from Santa. 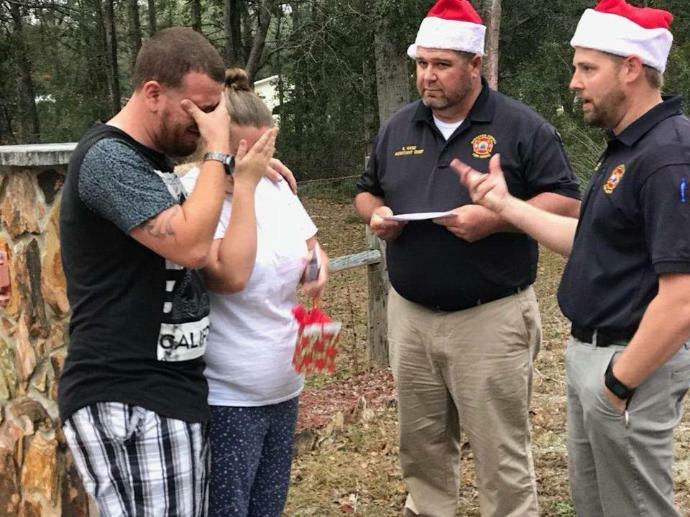 Isaac’s family was surprised with gifts and well wishes, coordinated by Suwannee County first responders and local businesses.